Smart phones and tablets are part of our daily lives. Many of us cannot imagine life without one, even people who grew up in an age before the iPhone and Android devices. However, whenever you're behind the wheel of a car, it's important that you put your phone or tablet away. Using your phone while driving can be deadly. 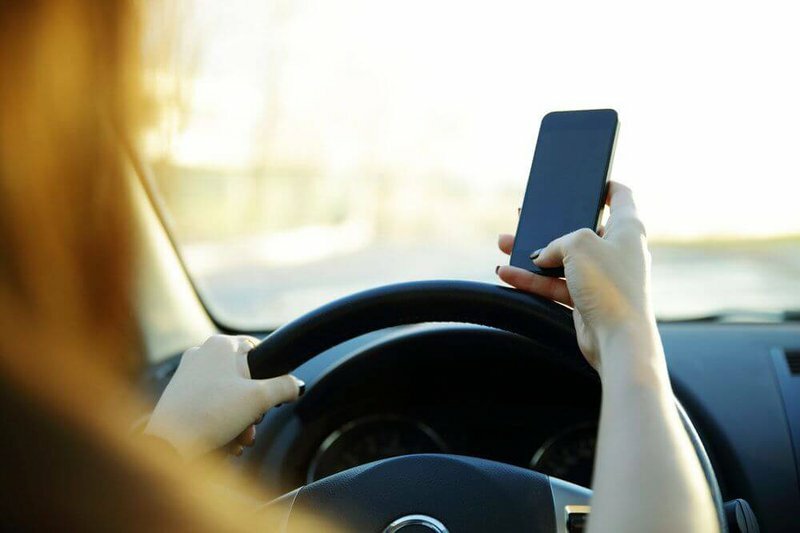 The legal team here at Mauk Miller, PLLC has noticed a number of car accidents, both fender benders and collisions that lead to major injuries, that are the direct result of cell phone use and tablet use. Our Boise lawyers have helped a number of people impacted by these terrible collisions, and we'd like to consider the dangers in more detail right now. Anything that distracts you while you are driving is a potential hazard. Your attention really should be on the road as much as possible. Something as minor as eating while you drive or reaching for a fallen object while you drive can be potentially hazardous. Using a cell phone while driving is especially dangerous. Your eyes are off the road for seconds at a time, and your hands are occupied and off the wheel. This means you may not be able to avoid dangers or changes in road conditions when they occur, making collisions far more likely. Cell Phone Distraction in Context: How Deadly Is Is? In general, people have their eyes on their cell phone screens for four to five seconds at a time. When driving at highway speeds, you can travel the length of a football field in that amount of time. There is a lot that can happen and a lot of ground covered in that handful of seconds. It really might mean the difference between life and death. Around 660,000 drivers use their phones while driving on an average day. According to numbers from The National Safety Council, the use of cell phones while driving results in up to 1.6 million collisions a year. That's approximately one in four car accidents in the United States. From that number, roughly 330,000 annual injuries are the result of texting while driving. Tragically, an average of 11 teenagers die each day because of texting while driving. This is why many states have created laws to help prevent this dangerous practice. In the state of Idaho, it is illegal to text while you are operating a vehicle. Fines for violating this law start at $85 and scale up from there. While texting is banned while you are driving, there is no statewide ban on talking on your phone while you are driving. Certain cities do have laws about not using a hands-free set, however, which means local authorities do understand the dangers of cell phones while driving in general. If you do have to make a call while driving, it's best that you safely pull off the road where you can park safely and then make your phone call. If you or a loved one has been injured as a result of another motorist using their phone while driving, we can help hold the negligent driver accountable. We will seek damages to cover vehicle repairs and medical bills, and will also help make sure that the driver who caused the accident is deterred from repeating their mistakes in the future. For more information about your legal options following a serious collision, be sure to speak with the experienced personal injury attorneys at our law firm today. We at Mauk, Miller, & Hawkins, LLC are here to help you in your time of legal need.